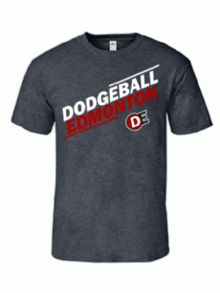 Edmonton's home for dodgeball leagues, tournaments, and events. Play dodgeball with us! Thank you for visiting Dodgeball Edmonton, an organization dedicated to bringing you the best dodgeball experience, brought to you by people who care about dodgeball more than pretty much anything. 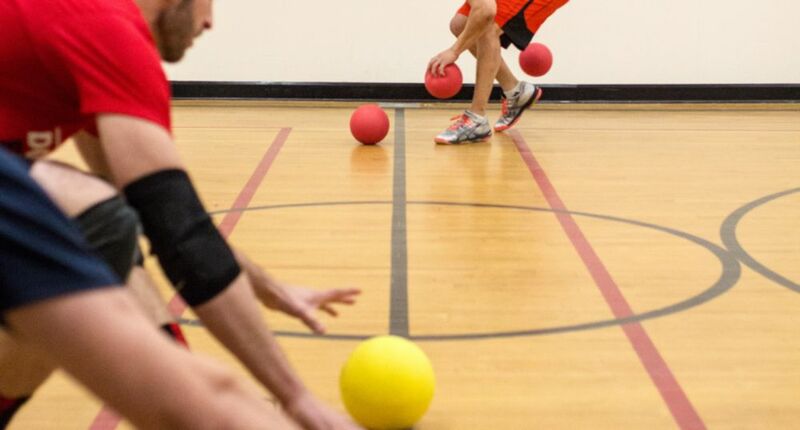 We offer a unique brand of dodgeball, fusing together elements from the international dodgeball stage with the style that Edmontonians have grown up on. The result is a dynamic, fast-paced game that will better prepare players to expand beyond the small pond of Alberta. It's also a ton of fun, and will allow players to hone new strategies that have never existed before. We are thrilled to see how this kind of dodgeball evolves within our awesome community. For many sports, the action begins with a showdown. In hockey, it’s a faceoff. In basketball, a jump ball. It is all about getting an edge or an advantage if only for a moment, but hoping it will pay off in the scope of the entire match. Dodgeball is a sport of the same ilk, with players racing toward the balls to begin each game. I have seen a few different variations of the rush in dodgeball. Many leagues begin the game with balls placed on the centre line, having teams race to recover as many as possible for their team while literally trying to rip them from the hands of their opponents as they meet in the middle of the court. Some leagues play with balls placed on either side of centre, allowing each team access to balls without being challenged by the opposition. This can prevent all of that messy contact at centre, but can also create a sense of apathy at the beginning of each game where defensive teams may opt to not rush for balls at all and wait for a catch. A variation that I came upon in the WDBF rulebook provided an alternative to the above options. They placed all 6 balls on the centerline, but designated that only the 3 balls on the right side could be initially collected by either team. The balls then have to be brought behind the attack line before they can be thrown. It was from that template that I began to construct the rush dynamic in the Dodgeball Edmonton rulebook. With a few alterations we were able to keep the core dynamics of the WDBF rush format while aligning it with some of our core rules. If a team activates and has gained possession of all of their balls before the other team has touched theirs, they may then retrieve the other team’s balls for themselves. This gives them a significant advantage if they are able to collect all six balls, and really provides a strong incentive for both teams to rush. I think these dynamics open up a lot of possibilities and strategy for teams with the free ability to distribute balls while rewarding teams for rushing and keeping the game fast-paced and exciting. Whether you travel around the world, around the country or even just around the city, you will find dodgeball being played with almost an infinite number of different rule variations and equipment. Being a sport that has only begun to gain credibility over the past two decades as something more than a day off for the gym teacher, there is no single rule set that has risen to the top. Instead, each pocket of dodgeball culture has formed their particular way of playing the game and, in most cases, they will defend that way as the one true dodgeball. Slowly but surely, people have been coming together (be it from different teams, different leagues, different cities or different countries) to share their love of the game. Playing internationally opened my eyes to so many new ways of doing things, and I began to form my own vision of what dodgeball could look like. For years I had helped craft the dodgeball culture in Edmonton, but over time began to realize that we had isolated ourselves too much. After playing in the World Championships, I wanted a place to be able to hone my skills to continue to be able to compete on the world stage, but there simply was not anything comparable back home. Dodgeball Edmonton represents a fusion of dodgeball cultures and ideas. We pride ourselves on having our fingers on the pulse of the game and hope that we have found a beautiful middle ground between the dodgeball that Edmontonians know and the game that the best players in the world are playing. In marrying ideas together, we can create a game that is familiar to hometown players, while helping to prepare athletes for dodgeball as it is being played on the international stage. First and foremost - when it comes to dodgeball, the ball is the most important piece of equipment in the game. Most of the dodgeball world stands divided between rubber, foam and cloth balls. DE’s primary ball is an 7” No-Sting rubber ball. This is a ball that I, personally, love. After playing almost a decade of 8.5” rubber, switching to 7” foam at the world championships was an adjustment. But, while playing abroad I got to play with these no-sting balls and felt like they were a great compromise. They have the touch and feel of rubber, with some of the weightiness of 8.5” balls, but they have a similar size and flight pattern to the foam balls used at the world championships. Ultimately the No-Sting ball is one that I felt aligned with the ideas and ideals of Edmonton the best. But it was not without much debate that the final choice on equipment was made. - Small size helps even up the co-ed playing field compared to larger balls, as everyone can get a good grip on the ball and execute a proper overhand throw without dropping it. - The ball composition is grippy and tactile with little slickness and lots of give, making it easy to handle. - Safety.The ball doesn’t do the same physical damage as 8.5” rubber balls, so players won’t constantly be bruised and all players, especially those new to the game, can feel a little safer - even competing against some of the best players in the world. - Stings just enough to make you feel alive, not nearly enough to kill you. - The smaller ball also allows players to execute new types of throws, putting curves on the ball. - Significantly less stress put on the hands from gripping the ball. - Compared to rubber 8.5” balls, there is higher potential for arm injuries from over throwing, particularly as players transition and adjust. - For those players who have been playing 8.5" rubber for a long time, it is a new learning experience. Developing a new ability to catch, throw, and sense the overall game strategy will be a part of it. - The game is sped up adding 10-15km/hr to the throws of experienced players. - There is significantly more bounce to the balls. As the dodgeball climate changes, we at Dodgeball Edmonton will be changing with it, working towards creating the best playing experience for our membership and helping to prepare our athletes for the awesome opportunities around the world. Stay tuned for future articles as I will be breaking down DE’s rules in detail. Anyone who has played a sport for long enough is familiar with the rivalries that are formed when you see some of the same opponents season after season. Maybe you dreaded playing that one team who was really skilled, or had a little tiff with that cocky guy in the tight shirt from that pink team. Even recreational sports can breed an “us vs. them” mentality, especially when the object of the game you’re playing happens to be hurling balls at the people across from you. My first years playing dodgeball were great - I met a few awesome people that I saw multiple times each week, learned to play and appreciate the sport just like any other, and, yes, formed a few friendly rivalries to add to the excitement. However, there was a growing issue as seasons went on that made for a less ideal experience. The skill disparity seemed to be getting worse and worse in most leagues - a couple of really experienced teams with the best players would dominate, and the rest of the teams (although still enjoying themselves because dodgeball is super) had virtually no chance to compete for the championship. Although I was usually fortunate enough to be on a strong team, I knew that the situation could be better for everyone. I had heard of a group of dodgeballers in Calgary who were trying the “draft” concept for their league, and immediately loved the idea. The potential to eliminate skill disparity and give everyone a fighting chance for victory was reason enough alone to think we should give it a shot in Edmonton. I still recall spending a late weekday night at the pub discussing the idea with a teammate of mine; he thought it might be too ambitious to get people to agree to disband their normal teams and throw their names in some random pool. I decided to give it a shot anyway. So, for the next tournament I reached out to some acquaintances who I had played against multiple times but never spoken to. After a couple weeks of making new connections and explaining how this would definitely be awesome so don’t worry about it, there ended up being enough willing participants to make three tournament draft teams! I was ecstatic. Now, how to actually create even teams from this pool of players? When people think of being picked onto a team for dodgeball, they may have some horrible flashback of standing against a gym wall while waiting to be chosen, feeling more and more shame as each finger point isn’t one directed at them. As hilarious as it may have been to witness this process for grown adults, I figured doing the draft behind closed doors was probably in everyone’s best interest. Myself, Chris, and Blair (who was, ironically, my skeptical pub friend) elected to be captains as we were fairly knowledgeable about the skill levels for each of the players. We locked ourselves in a room (AKA Hudsons on Whyte), and snake drafted our teams in a sort-of similar fashion to the NHL draft. The result: three very evenly-skilled teams with a bunch of people we had previously considered our rivals now as teammates. Skipping the details of how the draft played out (*cough*myteamwon*cough*), we all realized that actually getting to know these people we had played against for years was kind of awesome. Maybe that tight shirt guy wasn’t so awful after all? The socialization aspect became an equal, if not even greater, motivation to run the draft. So many new Facebook friends! I feel like I know a lot of people in the Edmonton dodgeball circle, and yet the most recent draft this year has over 70 participants, 20 of which I have probably not even had a conversation with… yet! There have been about ten draft events since that first tourney, and every time I get to meet a few new lovely people, and get surprised by a few new killer athletes. Needless to say, I hope this trend keeps up, because I love seeing the sport I have loved since the beginning grow into more and more every day.